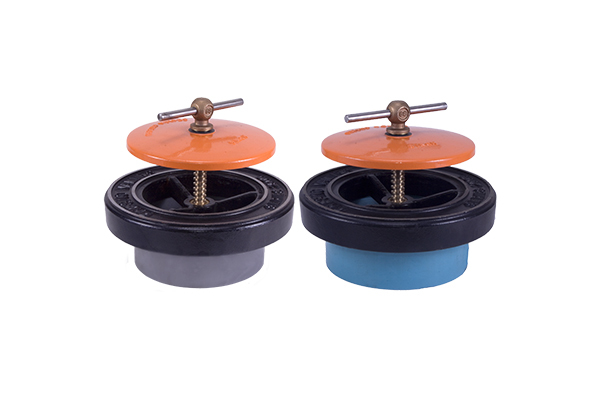 The Series 2000 Clover Valve is an overflow type valve designed for use in surface irrigation to provide reliable shut off and regulation of flow from underground pipelines to irrigation furrows or checks. The series 2000 may also be used in conjunction with distributing pots in vineyard and orchard applications. Clover Valves also provide effective level control and aeration in ponds or as drains for sumps or stand pipes. Precision ground seat to ensure a watertight seal. 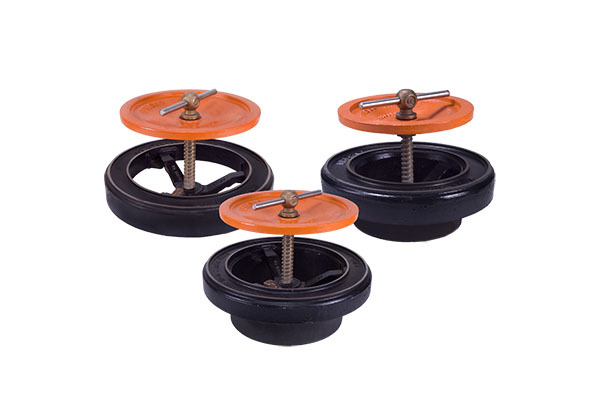 Heavy-duty cast iron frame and cover for durability. Cast-in-place bronze bushing that won't pull out. Brass screw is rugged and easy to operate. Tapered frame skirt ensures excellent fit on plastic pipe model. The Series 2100 Orchard Valve is an overflow valve designed to provide reliable shut-off and regulation of flow from concrete pipelines to irrigation furrows or checks. 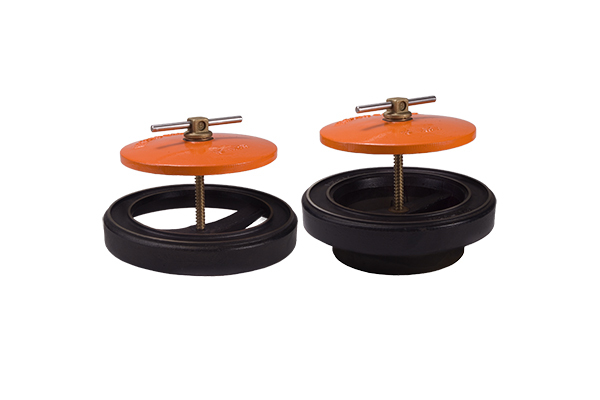 The Series 2200 Valley Alfalfa Valve is an overflow valve which features a concave cover and either a solid or removable arch. Used in conjunction with portable universal, side clamp hydrants and gated pipe. 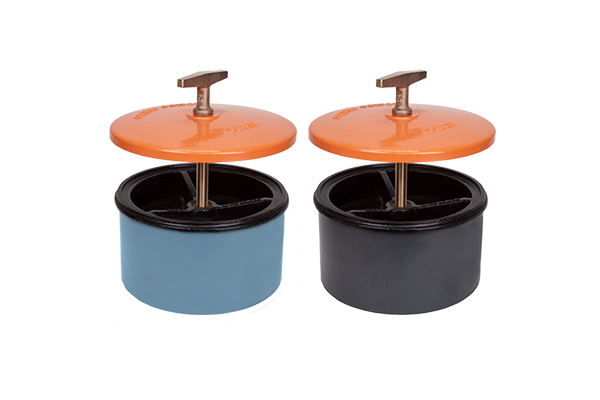 Resilient seal and precision ground seat provide watertight closure. Brass screw is easy to operate. Has acme thread for fast opening and closing. Cast-in-place bronze bushing will not pull out. Concave cover design for added strength. 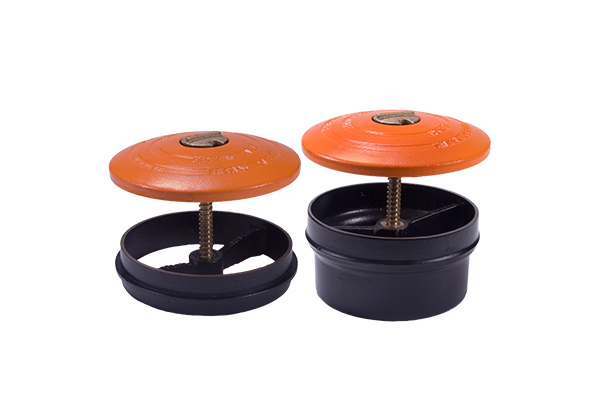 The Series 2300 Grazing Valve is used in the same applications as the Series 2000 Clover Valve. They differ in that the stem does not project above the cover. 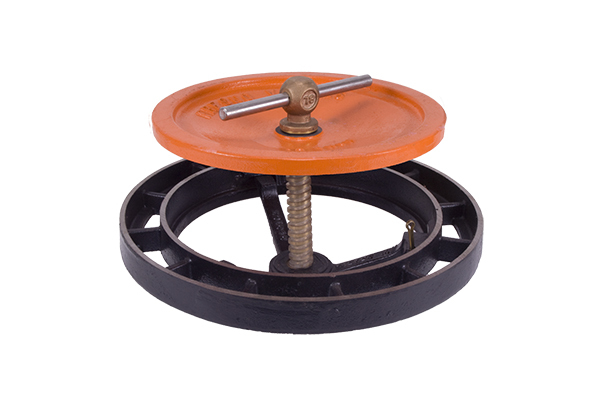 This feature reduces the chance of damage to the valve from livestock or other traffic. A brass tee handled key is required to open and close the valve. This makes the Grazing Valve cover assembly less susceptible to theft. Precision ground seat ensures watertight seal. Cast-in-place bronze bushing won't pull out. 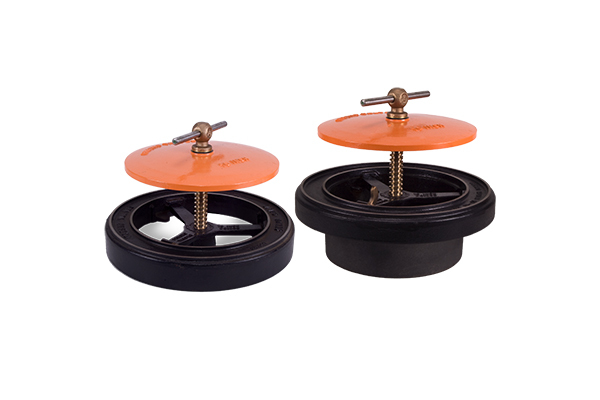 The Series 2400 Clover Valve with the solvent weld (SW) frame is an overflow valve designed for use in the same application as our popular Clover Valves for concrete and PVC. The Series 2400 features a Schedule 80 plastic skirt for easy installation using standard PVC cement for attaching instead of epoxy. Saves valuable time and money. The Series 2400 Grazing Valve with the solvent weld (SW) frame is an overflow valve designed for use in the same applications as the Series 2300 Grazing Valve for concrete and PVC. The Series 2400 features a Schedule 80 plastic skirt for easy installation using standard PVC cement for attaching instead of epoxy. Salves valuable time and money. 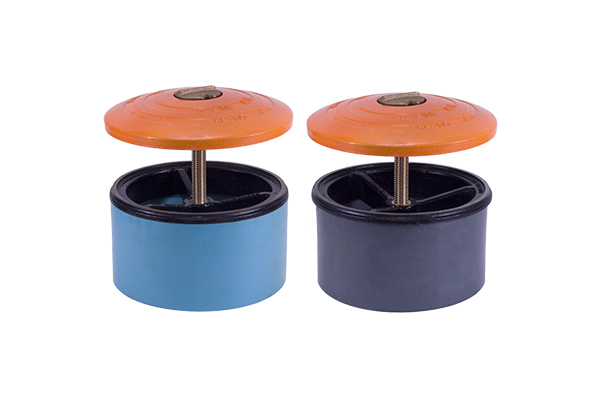 The Series 2500 Alfalfa Valve with solvent weld (SW) frame is an Alfalfa Valve designed for use in the same application as our popular Alfalfa Valves for concrete and PVC. The Series 2500 features a Schedule 80 plastic skirt for easy installation using standard PVC cement instead of epoxy. Use of these valves can save valuable time and money. The Series 2600 Type B Alfalfa Valve provides flow control from underground pipelines. Also used in conjunction with portable, universal, and side clamp hydrants and gated pipe in row crop irrigation. Precision ground seat for watertight operation. Bronze screw is corrosion resistant and is easy to operate. Rugged cast iron frame with integral concave arch guarantees maximum strength. 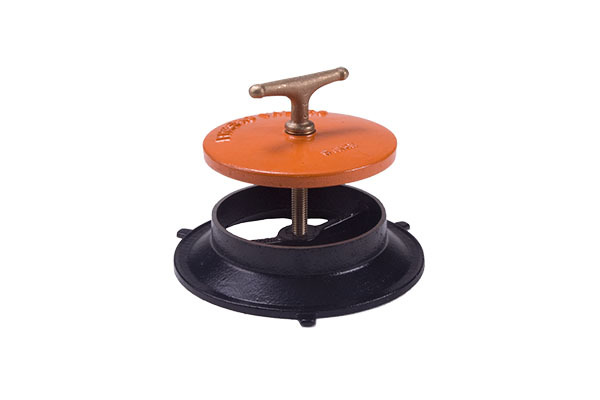 Heavy-duty convex cast iron cover provides added strength. The Series 2800 Type RB Alfalfa Valve provides reliable shut-off and regulation from underground pipelines. The Series 2800 features a removable arch for easy line access. Very effective with portable, universal, and side clamp hydrants and gated pipe in row crop irrigation. Domed cover design provides added strength. 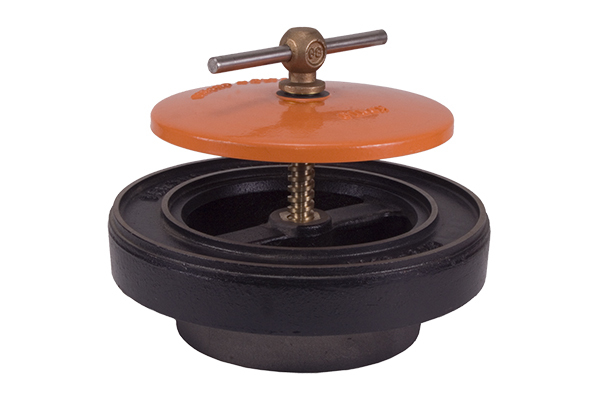 The Series 2800 Type SA Alfalfa Valve is an overflow valve with a heavy-duty solid arch for use with plastic pipe. This valve is also effective with portable, universal, side-clamp hydrants and gated pipe in row crop irrigation. The Series 2900 Type S Alfalfa Valve is an overflow valve. 10" thru 14" are designed to be interchangeable with Snow (Ideal) Alfalfa Valves. 20" thru 24" are not interchangeable with old style Snow Valves. Removable arch provides easy access to riser. Bronze screw is corrosion resistant and easy to operate. Heavy-duty cast iron frame and cover provide a lasting performance. Noncorroding brass pin allows easy removal of arch (spider). 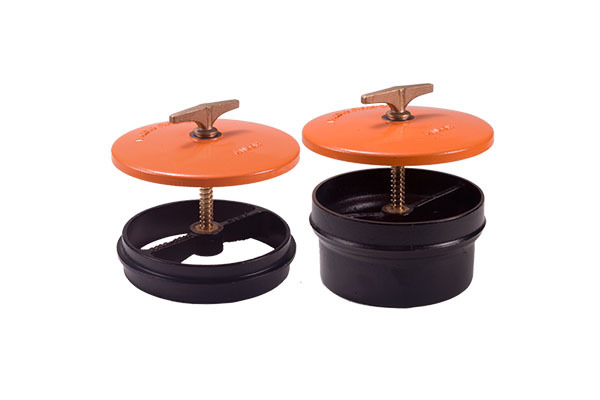 Specially designed for interchangeability with snow alfalfa valves.